Mixer is the host station, so staff must have a strong sense of security, and operating mixer must clear seven points. During the process of normal operation,the forced mixer motor temperature rise shall not exceed the allowable limit. Monitoring forced mixer motor load current. The load current of the motor should not exceed the rated current value of the brand. Monitoring power supply voltage.Current imbalance can cause overheating or other abnormal phenomena. 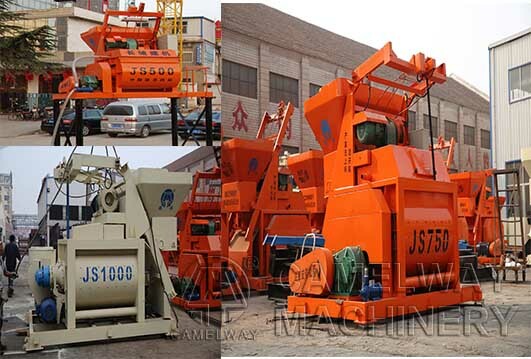 Pay attention to the smell of the motor, vibration and noise.Such as smell coke, abnormal vibration or scratches, the hum of the super-large or other noise, you should stop the machine and check immediately. To check forced mixer bearing lubrication, regular change of lubricating oil.Rolling bearings run along the fat should not exceed 70% of the bearing chamber volume. Forced mixer rotor type motorshould be checked. Keep clean inside the motor. There is no water, oil and debris into the internal concrete mixer motor.